(AP Photo/Laurent Cipriani, File) In this Jan. 7, 2019, file photo, French Cardinal Philippe Barbarin waits for the start of his trial at the Lyon courthouse, central France. Vatican City • Pope Francis has declined to accept the resignation of French Cardinal Philippe Barbarin as archbishop of Lyon after he was convicted of failing to report a known predator priest to police, the Vatican said Tuesday. 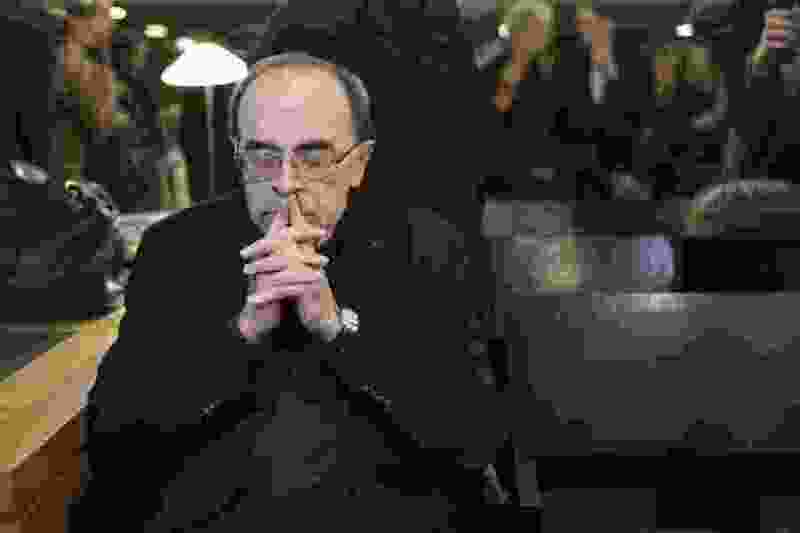 The decision greatly disappointed abuse survivors, given that Barbarin had traveled to the Vatican on Monday to present his resignation after the March 7 verdict and six-month suspended sentence he received. Vatican spokesman Alessandro Gisotti said Tuesday that during the audience, Francis didn’t accept the resignation and instead asked Barbarin to do what he thinks is best for the archdiocese. Barbarin has decided to take time away and has asked his deputy in Lyon, the Rev. Yves Baumgarten, to assume leadership of the archdiocese, Gisotti said. “The Holy See repeats its closeness to victims of abuse, to the faithful of the archdiocese of Lyon and the French church who are living in a particularly difficult moment,” Gisotti said. The French court found that Barbarin had an obligation to report the Rev. Bernard Preynat to civil authorities when he learned of his abuse. Preynat, who is scheduled to be tried on sexual violence charges next year, confessed to abusing Boy Scouts in the 1970s and ’80s. His victims accuse Barbarin and other church authorities of covering up for him for years. “It shows that we are right and that the problem is inherent to [religious] dogma,” he told French media.